PESHAWAR -- The sound of religious music from Bhai Joga Singh Khalsa Dharmic School in the Mohallah Jogan Shah neighbourhood in Peshawar has entranced many passersby since classes started for children in September. The teaching of classical religious music to young Sikh students speaks to the restoration of peace in the city, observers say. It is a sign that once-threatened minorities living in Khyber Pakhtunkhwa and the Federally Administered Tribal Areas (FATA) feel more relaxed and free to perform their religious rituals. Sikh students attend the music classes as a religious obligation, but many observers contend that music can promote peace and religious harmony. Nadeem Gill, a Christian, teaches music to more than 100 Sikh children at the Bhai Joga Singh School and another local school. The schools' enrolment is about 120. Other instructors in the schools are Sikh or Muslim. "Music is the only language that negates terrorism and is a source of peace and religious harmony among those with different ideologies and beliefs," Gill told Pakistan Forward, adding that he feels great "satisfaction and eternal happiness ... teaching these children". "The children love me like their own, and I don't feel I am of some other religious belief," Gill said. "The satisfaction I have is the peace and love we are spreading -- which is the real teaching of all religions." "We started the music classes [for young adults] at the Bhai Joga Singh School some eight months ago, and most of the youngsters are now well trained and performing in religious ceremonies in gurdwaras [Sikh houses of worship]," Jitnadar Singh, a board memeber and former teacher at the Bhai Joga Singh School, told Pakistan Forward. "These music classes are a true sign of peace -- that minorities are openly practicing their religious obligations in a city where no one was safe a few years back," he said. The multiple religious affiliations of the teachers demonstrate that "music is promoting harmony among believers of different religions and promoting peace and tolerance as well," Jitnadar said. Journail Singh, a former student and now a music teacher at Bhai Joga Singh, said he has seen a change in Peshawar's social environment. "People are more tolerant now," he told Pakistan Forward. "Earlier, there was no concept of a music school here, and ... [Sikhs] used to learn [music] at home privately." 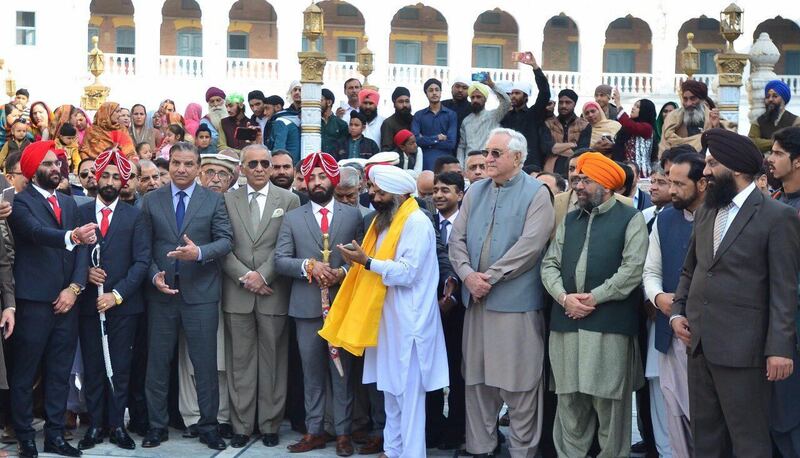 "Defeating terrorism has made it possible for Peshawar to be peaceful for all, including minorities," he said. "If we really want to make Pakistan peaceful, we have to promote religious tolerance and harmony among all religions." The classes are open to all, he added. "We have female students and even elderly learners," he said. "Everyone can come. After all, we are teaching love and peace through music." Music student Jiswandar Singh said he feels relief when he plays the harmonium. "I feel connected to the divine," he told Pakistan Forward. "It's the language of music that makes me feel better." "Although it's a religious class, it's a great way to instil tolerance and peace of mind among all human beings," he said. 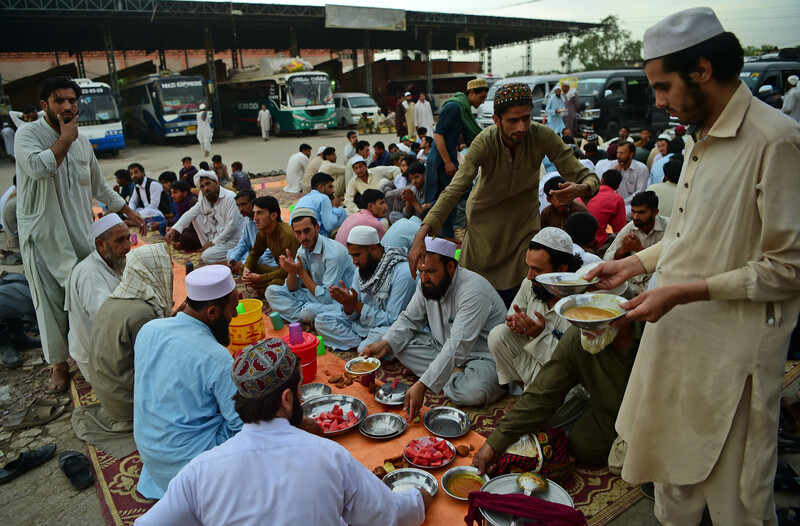 Sikhs and other minority religious groups are serving iftar to fasting Muslims, a gesture reflecting the strong bond of brotherhood in Pakistan. Current and retired military officials attended the marriage of the first Sikh officer in the Pakistani army, Maj. Harchem Singh.